Kit - Blessings Penny Rug. 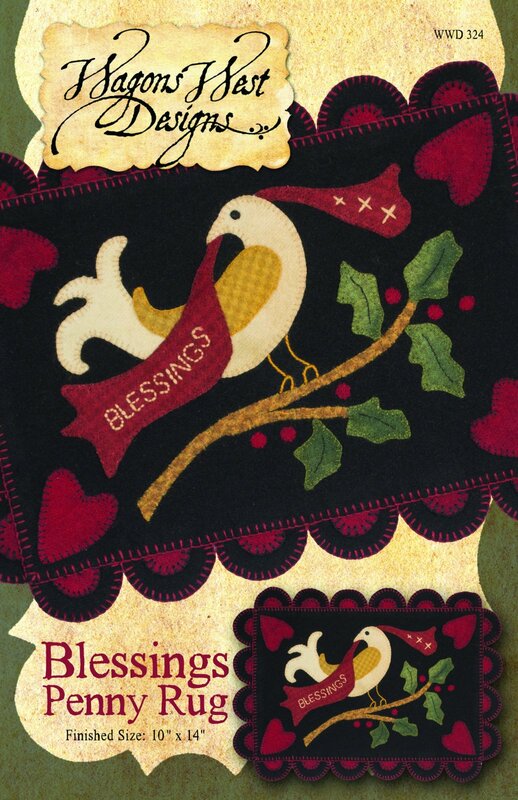 The kit includes the pattern to make the 10" x 14" Blessings Penny Rug, and all of the wool fabric to complete the wool applique, plus cotton fabric for the backing. You supply the thread. The penny rug, pictured, was appliqued using Aurifil Lana Wool Thread, however feel free to substitute.